A first reveal of performers and presenters for the International Bluegrass Music Association (IBMA)’s 26th International Bluegrass Music Awards has been announced. All five Entertainer of the Year nominees will perform, including Balsam Range, The Del McCoury Band, Hot Rize, The Earls of Leicester, and The Gibson Brothers (who will also host). Presenters will include brothers Ronnie and Rob McCoury, sisters Charli and Kelsey Robertson (Flatt Lonesome), and husband and wife Kenny and Amanda Smith, as well as Sam Bush, Woody Platt, Shawn Camp, Jerry Douglas and Sierra Hull. Additional performers and presenters will be announced in the coming weeks. 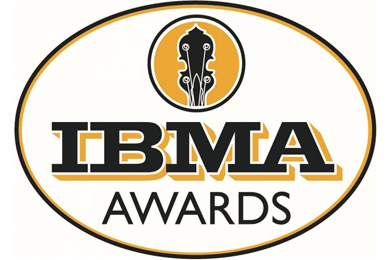 A complete list of nominees, this year’s Hall of Fame inductees, the recipients of the Distinguished Achievement Award, and tickets to the events can be found at ibma.org. Held at Raleigh, N.C.’s Duke Energy Center for the Performing Arts (Memorial Auditorium) on Thursday, Oct. 1 at 7:30 p.m. ET, the awards show is the centerpiece of a five-day World of Bluegrass event (Bluegrass Ramble, business conference, Wide Open Bluegrass). The IBMA Awards Show will be broadcast live on Sirius XM Satellite Radio (Bluegrass Junction), and syndicated to more than 300 U.S. markets and 14 foreign networks.